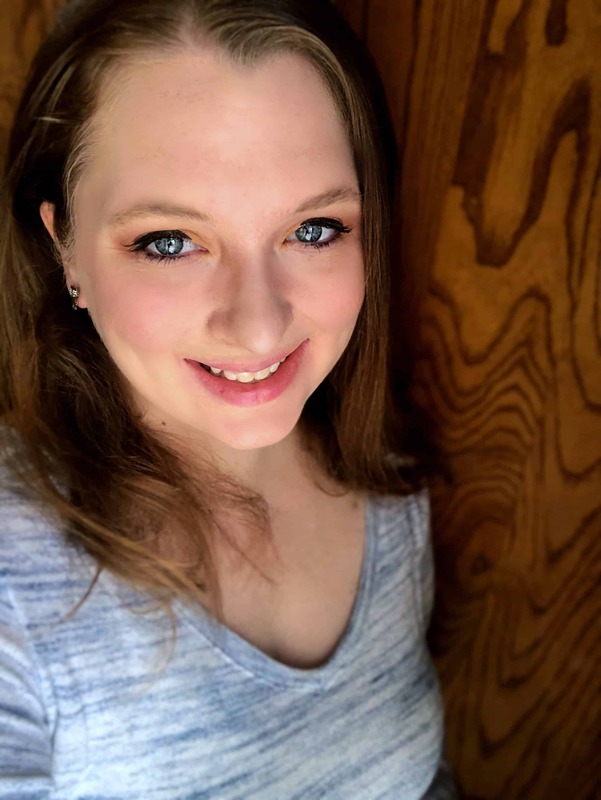 I have wanted to get this post up for a while now! 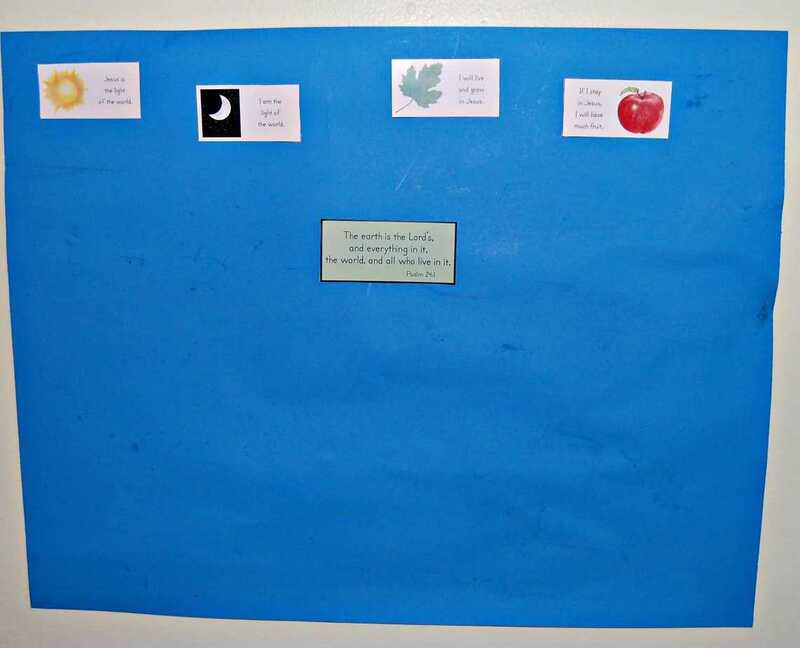 I knew I needed to organize all of our My Father’s World kindergarten materials, and I think I figured out a way to do it well. Instead of using a large crate to organize the curriculum, I went with a large binder. 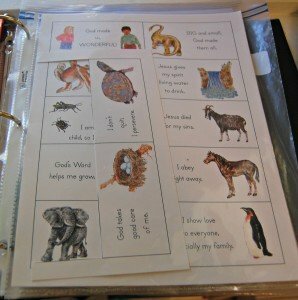 Now my My Father’s World curriculum is portable! 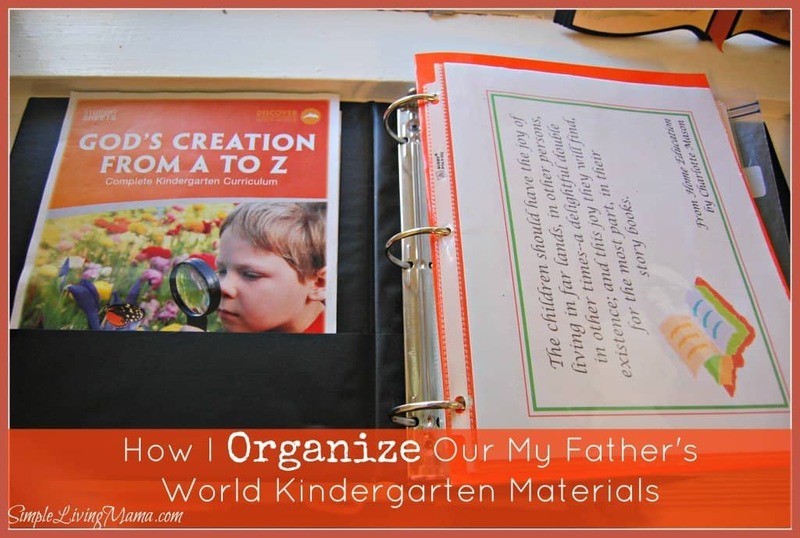 Let me show you how to organize My Father’s World Kindergarten! I use a 3-inch 3 ring binder to store all of the loose materials. 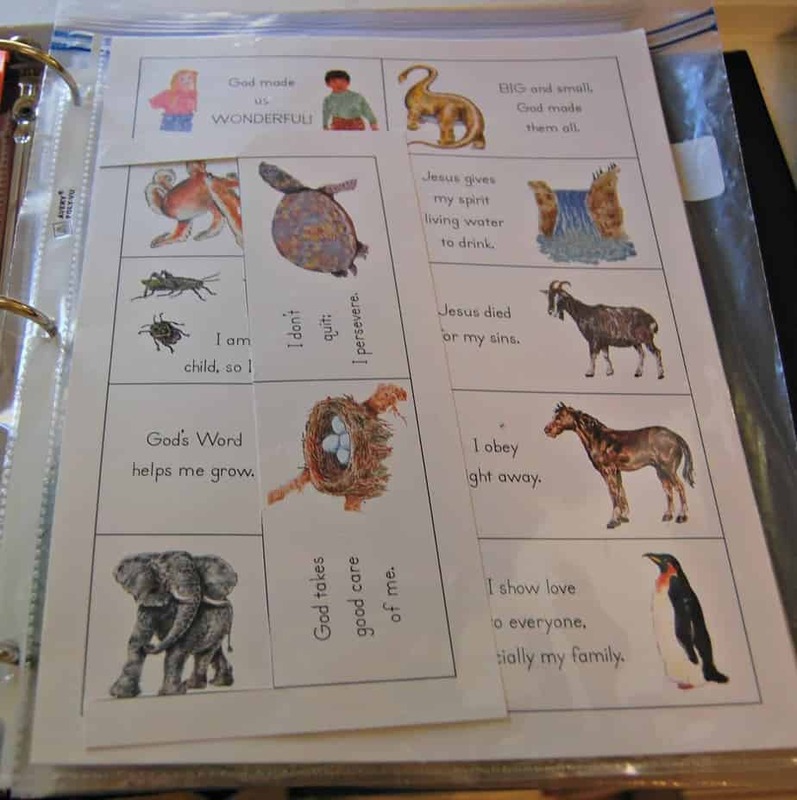 At the front I have the first page of the My Father’s World k student worksheets packet and I have a couple of Charlotte Mason printable quotes in page protectors to remind me why I started this homeschool journey. 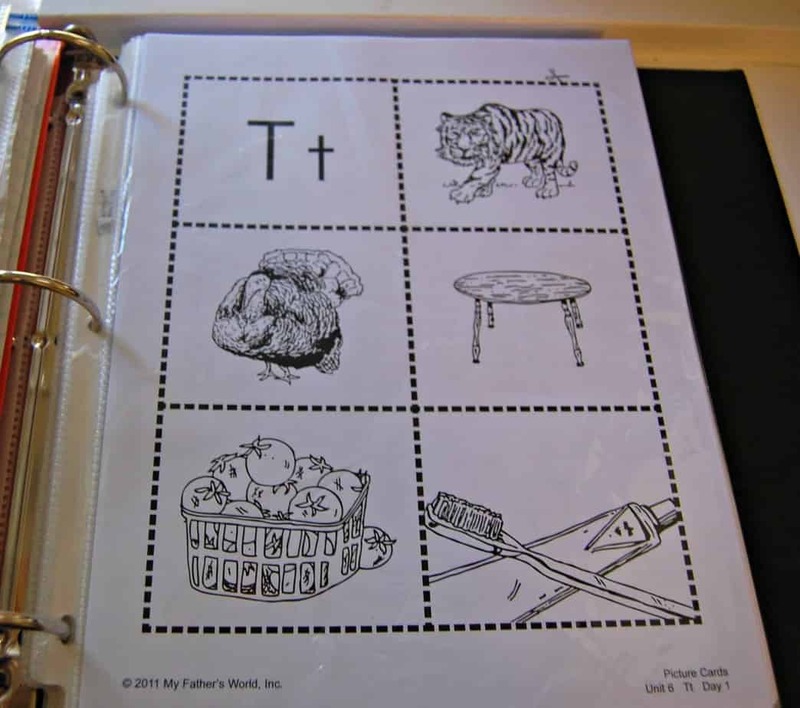 Each individual piece of the curriculum is in its own page protector right in the binder. 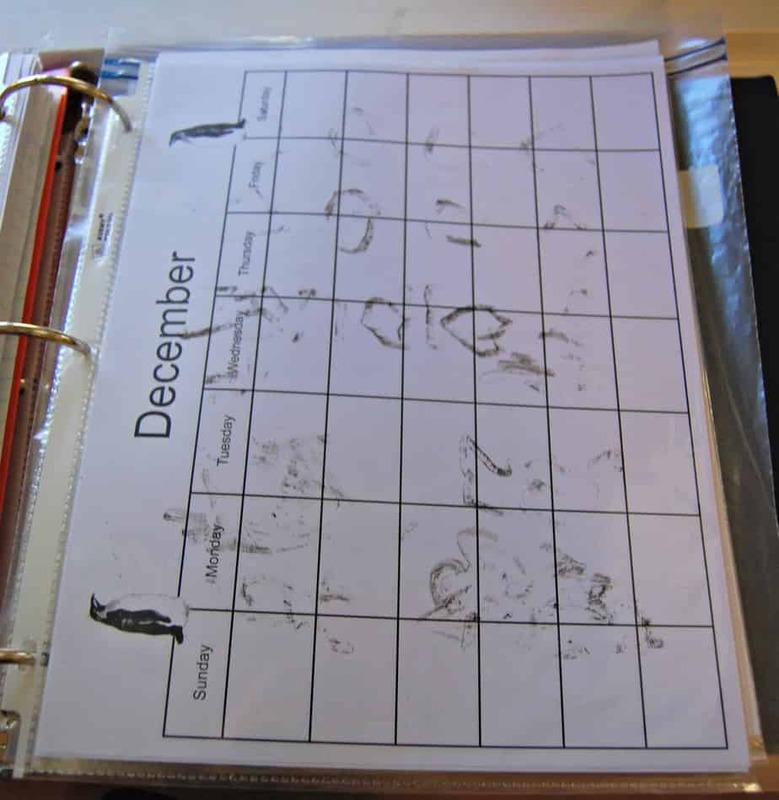 So, the Blend Ladder Chart is in a page protector. 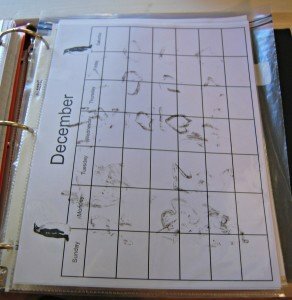 All of the calendar sheets are in a page protector. The badge templates are in one page protector. 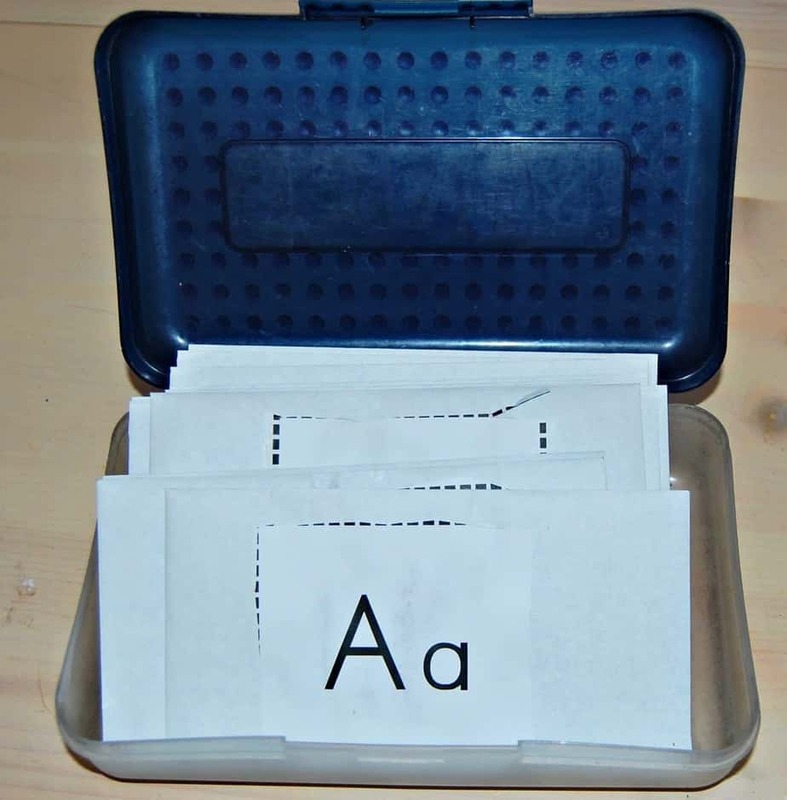 And our words to remember flashcards are in one protector. 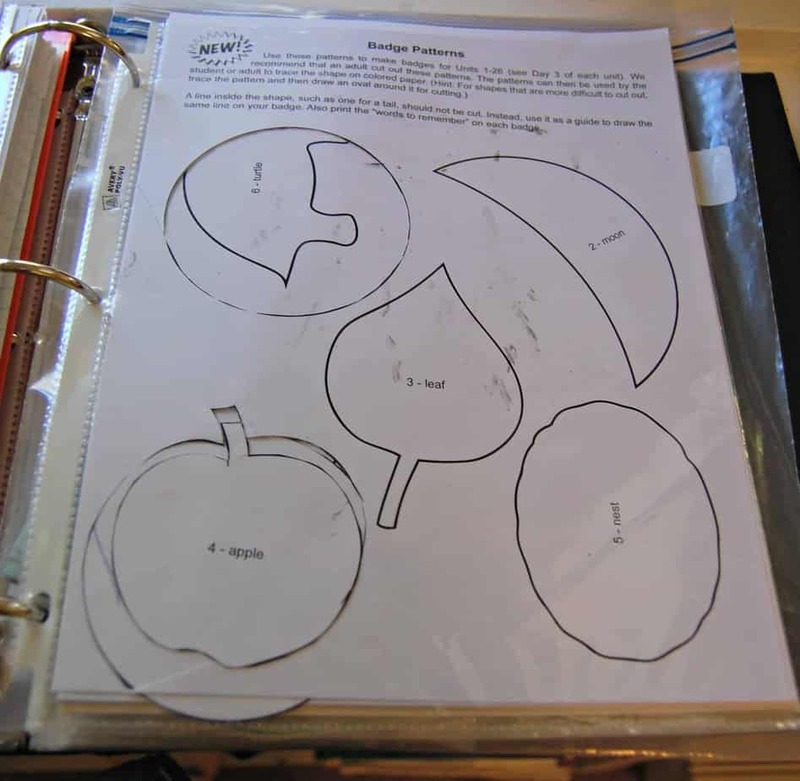 I simply cut out the one we are working on and put the rest back in the page protector. I stored the smaller, loose materials in a gallon size Ziplock bag. I punched three holes in the side of the bag so it will fit in the binder and stay in the binder. Here’s a look at everything in the large Ziplock. 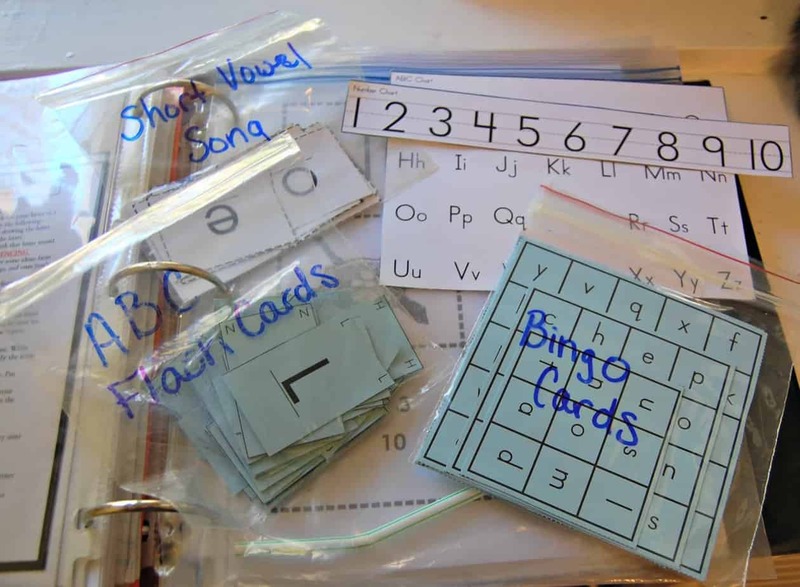 I have the ABC flash cards in their own smaller baggie, as well as the bingo cards and the short vowel song cards. The smaller baggies fit right into the larger baggie. I have our number line and ABC song card stored loose in the large baggie. I have the student sheets in page protectors. Each unit has its own page protector and every sheet from that unit goes into it. I can simply pull out the sheet that we need when we need it. 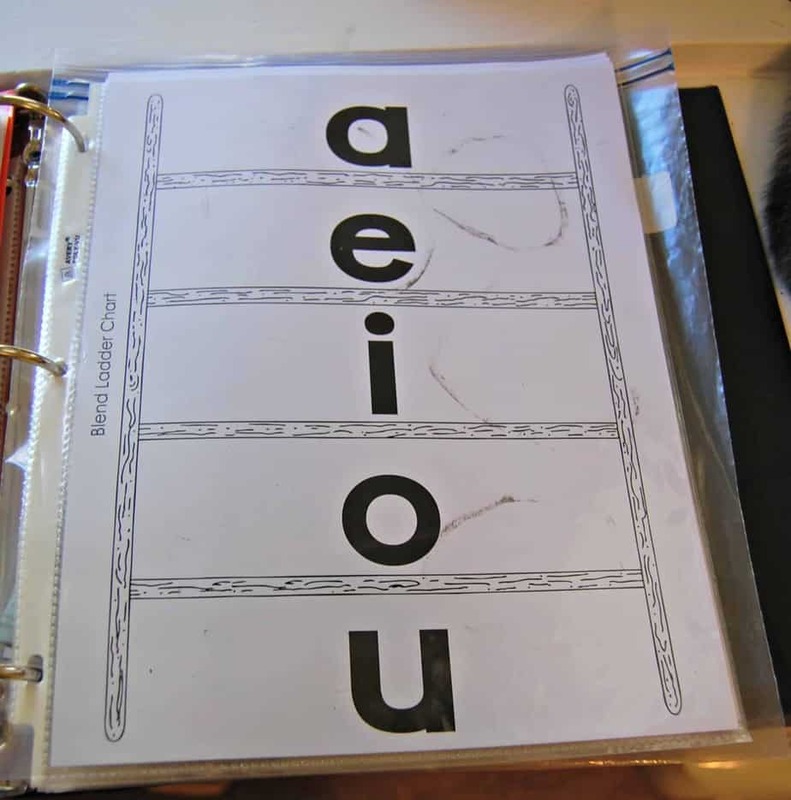 When Bug is done I transfer the sheet to his portfolio binder. I need to get pictures of that, so I can show you how I store his finished work! Every week Bug cuts out cards with pictures of objects that begin with the letter we are working on. The curriculum suggests storing these items in a picture box. Well, I did not have a picture box, so I used an old pencil box. It’s working fine for us! 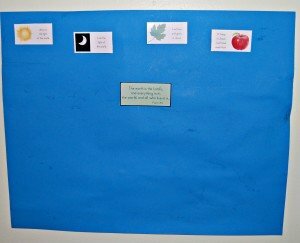 Every week we cut out our little “Words to Remember” card and I place it on a poster board we have hanging in the schoolroom. And that is pretty much everything. I keep my Teacher’s Manual separate, but always with the binder. Our big ABC flash cards are on the wall so we can easily refer to them, and anything extra like our Cuisenaire Rods or our music CD is stored in my desk. I hope this was helpful for you if you are trying to get your materials organized! 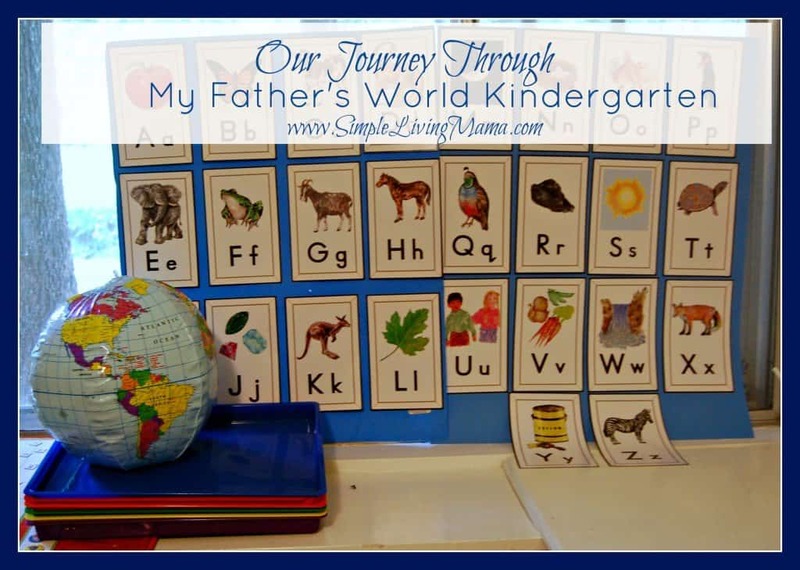 I’m not familiar with the My Father’s World program, but this sounds like a good organization plan that can be adapted to any homeschool program! 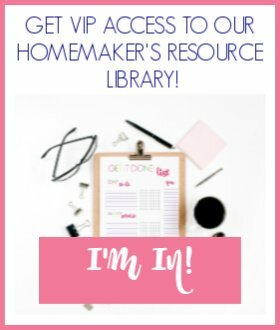 I’m sure you could use this with other homeschool programs! Great idea, Emma! Good job on keeping your curriculum and supplies organized. 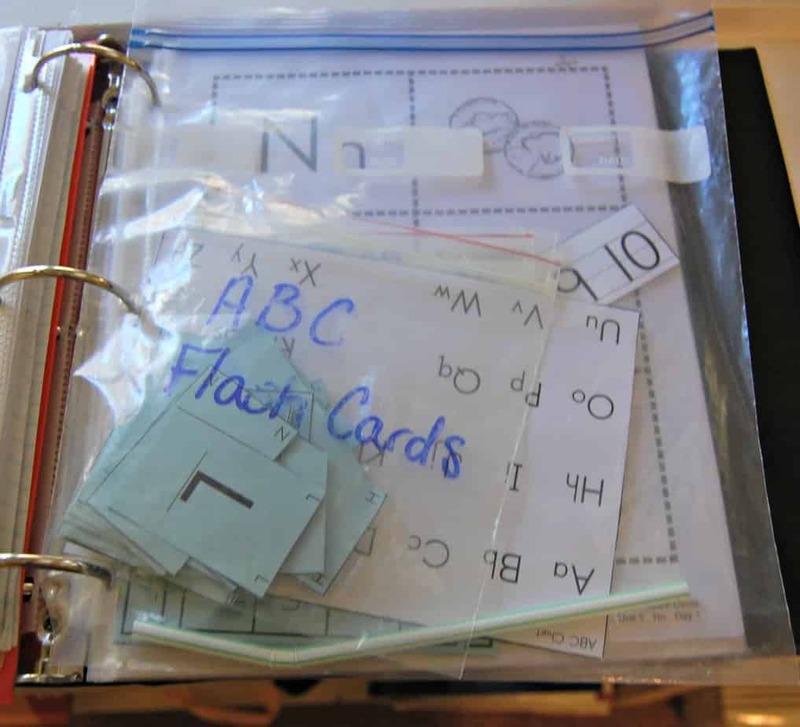 Page protectors and Ziplock bags is a must for us homeschool moms at least for this mom. Thanks, Angie! Those items are a definite must! What a fun way to organize everything. I haven’t thought to use the page protectors like that. I do use them for recipes I print. 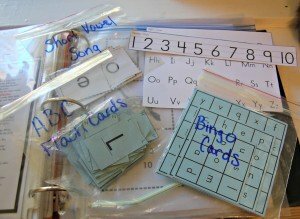 This is a fun way for the kids to practice without having to print out a ton of papers. Thank you for the idea. Thank you for sharing this! I love the idea of having everything be portable. 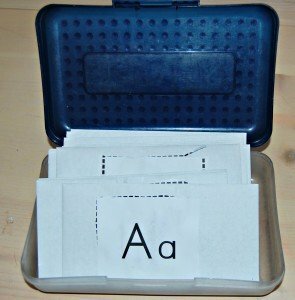 I love to take the kids to the park and nature center to do our work and since my youngest two will be starting MFW K this year I’m definitely going to use this storage method! Thank you!